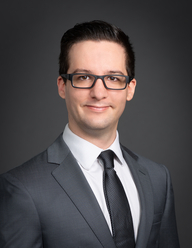 Anthony joined the firm in September 2017 and works primarily on audits, reviews, and compilations for condominium and homeowners associations. Prior to joining the firm, he worked for a CPA firm in Fort Myers, where he worked mostly on personal tax returns. Anthony completed his Bachelor of Science in Accounting during the summer of 2017 and is currently studying for the CPA exam. He plans on attending the University of South Florida to earn a Master of Business Administration degree after passing the CPA exam.